I get weekly produce delivery from Full Circle Farm here in Seattle. Each week, I get a box full of mostly local produce. 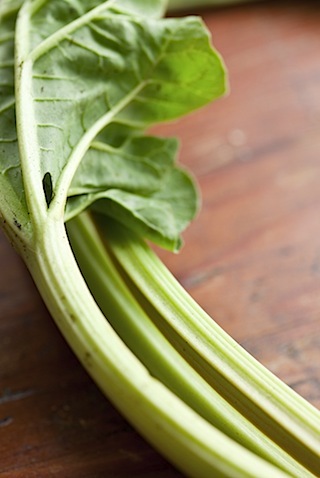 This time of year, the mostly local is not necessarily all that local, which isn’t surprising since that would mean pretty much surviving on miner’s lettuce and sorrel. Neither of which I need coming in my weekly produce box, because I have plenty of that in my garden already. Enter kiwi jelly. I’m not saying this is going to be the new lime curd. 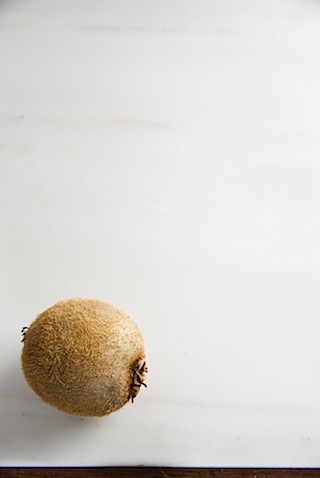 When you cook a kiwi, the bright green fades to a more olive tone; the delicate berry flavor gets a little crushed. 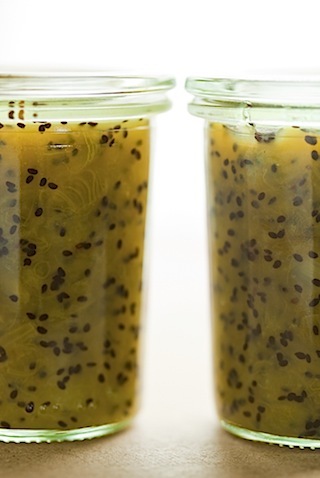 But kiwi jelly is still a nice way to go if the kiwi fruit has started to take over your kitchen. Toss in some chopped rhubarb from the garden (especially if you have the kind that stubbornly comes up green even though it is supposed to be the bright red kind!) for some tang and to help thicken the jelly. Some juice from a lemon and a teaspoon of apple cider vinegar to brighten the flavor. A pinch of salt and a few cardamom pods add just a little something special. 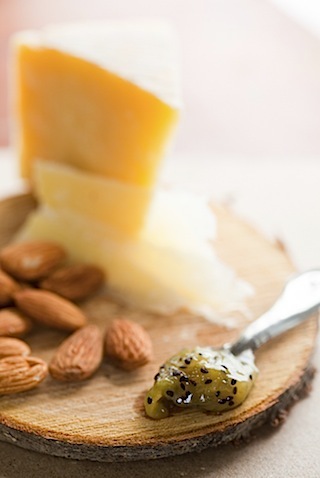 And, suddenly you have a lovely little jelly that goes terrifically with hard cheeses, nuts and crackers. It is reminiscent of pepper jelly, without the heat. 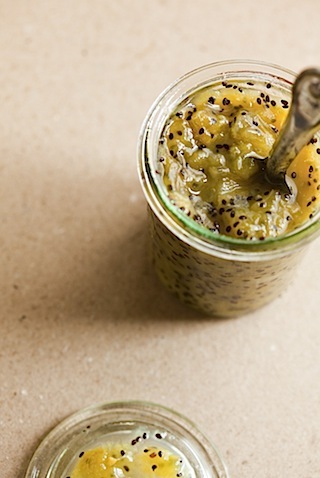 Add the kiwi fruit, rhubarb, lemon juice, vinegar and salt to a heavy bottomed pot. Stir in about 1/2 of the sugar, and begin to simmer over medium-low heat. Add the remaining sugar to taste, along with the cardamom pods (if using). Simmer for about 20 minutes, stirring frequently, until the mixture reduces some and thickens. Place in a jar and chill before using. *One of the best things about Full Circle’s weekly delivery is that they have a delivery exceptions list, so you can take off foods you don’t want to get. Since I like kiwi fruit, I haven’t bothered to add them to the list. Another benefit of Full Circle is that you can add additional things to your order… high quality grocery items like milk and yogurt from local farms, additional produce, nice olive oil and even some locally grown meats and fish. This entry was posted in Cook and Eat, Food, Recipe, Savory, Side, Sweet. Bookmark the permalink. I never thought about Kiwi jam! Interesting! What a great idea. We have the same kiwi issue. The addition of cardamom was brilliant. Wow this jelly looks amazing! I’ve never seen this flavor combination before. I will def have to try especially since rhubarb is in season. Thanks! I’m going to have to make this…never even considered it. Interesting to have a bit of rhubarb in it. Beautiful photos! 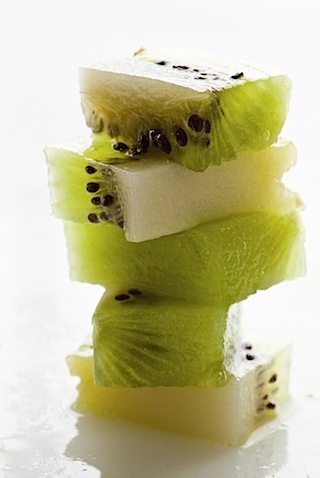 I love this idea for leftover kiwi. Gorgeous photos Lara. In full disclosure I’m the communication person for Full Circle. Thanks for being a member and for the awesome recipe! Would you mind if we shared it with our members in the next Farm Notes? Cheers! Sure… you are welcome to! And thanks for all the lovely produce! And here I am, home from the farmers market with a counter crowded with rhubarb and wondering what to do with it. Serendipity! Beautiful photos. Love your stuff. 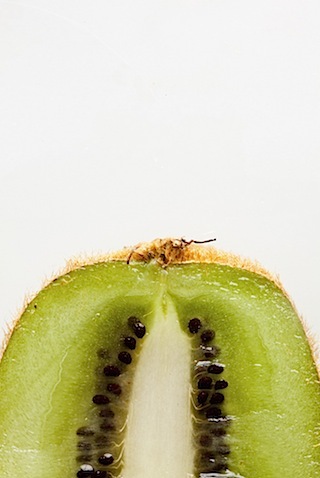 Kiwifruit can also be used to make cake. Just take whatever your basic banana cake recipe is and substitute the banana equivalent for blended kiwifruit. You’ll need to add a bit more flour because of the extra liquid. It works, and means you get cake that’s green on the inside which I think is rather neat. In a totally different vein, it’s also good for marinades and tenderising meat. All that acid. 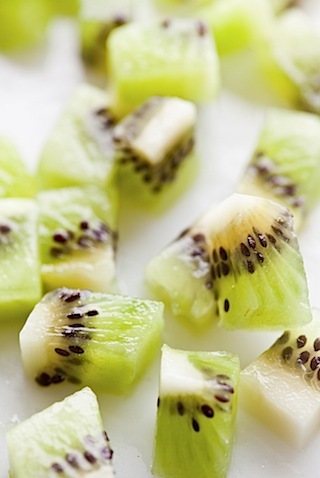 That’s interesting, never seen anything fun like that done with Kiwi before, and actually looks super yummy! I just might have to try it. What a great idea! Can’t wait to try it. Your kiwifruit preserve looks/sounds delicious, the kiwifruit season here in NZ has now started, so I’ll be trying it, thank you. By far my favourite use (and daily use in season) is to simply eat them – cut in half through the equator and scoop out with a spoon. Hi, just made a double batch of this, and wonder if there is an error in the sugar amount. It is quite bitter to taste. When I compare the ingredients to other kiwifruit jams, there is a significant difference. Most call for three cups of sugar. Sorry it wasn’t to your taste! You are right that this has less sugar than other kiwi preserves; it’s really more like a pepper jelly or a chutney though instead of a typical jam you’d put on toast… that said, I’m surprised it was bitter for you; that seems a bit odd. Both the rhubarb and the kiwi are high in acid, so it does tend to run on the tart side rather than the sweet side but nothing should introduce a bitter quality.